As part of a continued growth strategy for the UK, Asda is building two new stores in Enniskillen and Strabane. 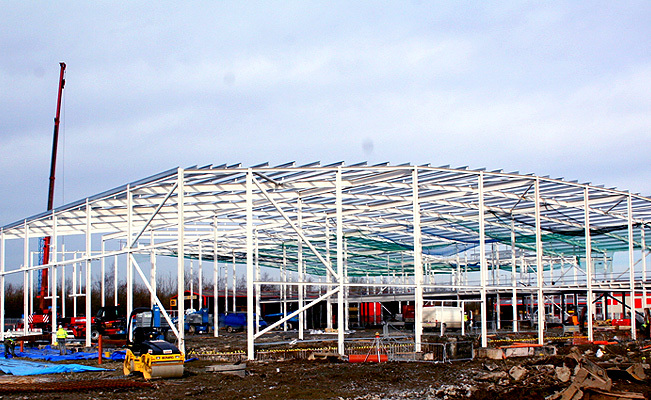 The 45,000 and 35,000 sqft stores are being supplied and erected by Smyth Steel Ltd. The fast-track nature of the projects presented challenges in procurement, production and erection. Erection of each store took just over 3 weeks.